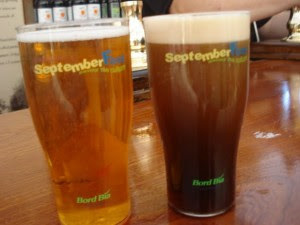 Deveneys of Dundrum: Septemberfest, this weekend. Septemberfest - 12th and 13th September. Hope to see you all here sampling what the best Irish microbreweries have to offer. Cooley Distillery will be showcasing a range of their Award winning Whiskies - massive fan. Coole Swan are also featuring along with a bit of music and some good grub. Well worth the trip into town especially if the weather holds up.